Fall is here, and with the changing season often comes increased pain and inflammation. It seems unavoidable and managing it can be challenging. Natural ways to relieve painful inflammation are sometimes helpful adjuncts in pain management. 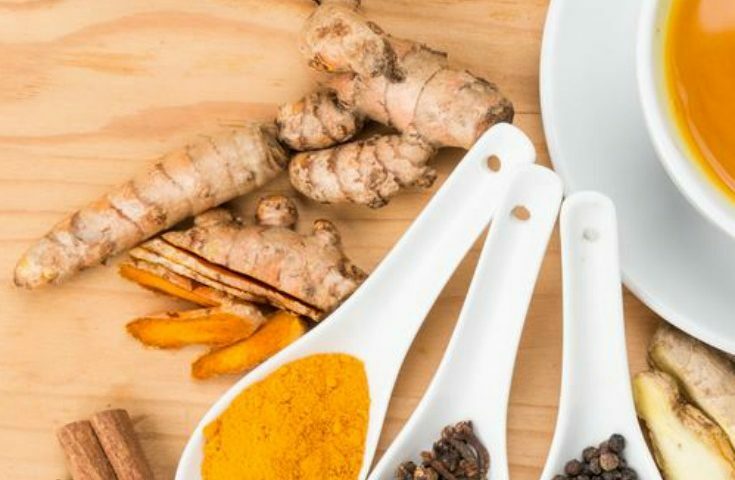 This ginger turmeric tea recipe may have anti-inflammatory and antioxidant benefits. If nothing else, it will warm you up! Two herbs touted for their therapeutic benefits are ginger and turmeric. Both of these naturally growing roots may have anti-inflammatory properties and many other benefits according to the Mayo Clinic. Incorporate ginger and turmeric into recipes, drinks, or even take them in a supplement form. Turmeric is known for reducing chronic joint pain and has long been used as a treatment. Ginger has anti-nausea, digestive, and respiratory benefits in addition to its anti-inflammatory abilities. 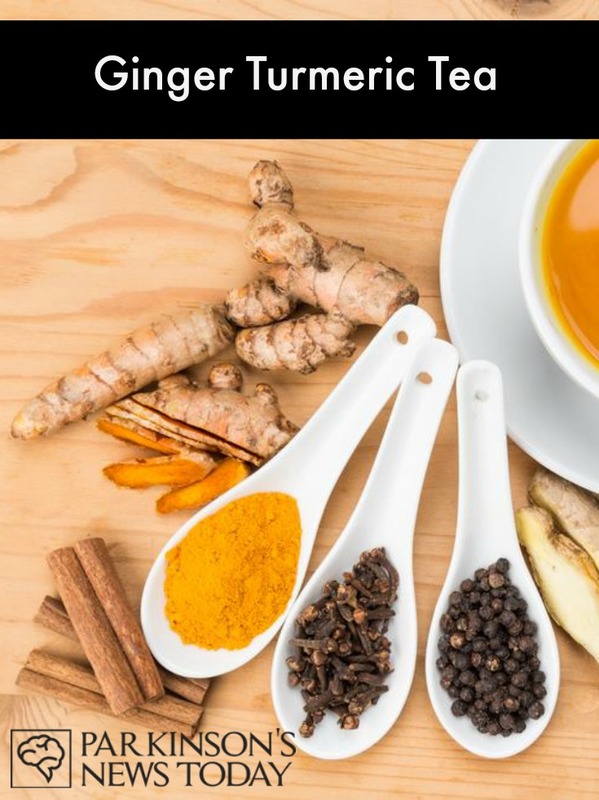 As the air cools, try this Ginger and Turmeric tea. This delicious and soothing tea can give relief and comfort as you sip. Drink daily or as desired. For more healthy tips and tricks, follow along on Pinterest. Tagged antiinflammatory, antioxidant, Pinterest, recipes. There are more comprehensive versions of this approach that derive from Ayurvedic medicinal traditions but which have also been blessed by modern researchers such as Dr. Gregor. My own daily anti-inflammatory “PD health potion” mostly uses more-convenient dried whole botanicals mixed into an infusion of hibiscus flowers and green tea: 2 Tb ground flaxseed, 1 tsp turmeric, a grinding of black pepper, 1/2 tsp ginger, 1/2 tsp amla powder (Indian gooseberry, found in Indian markets), and optionally 1 tsp. black cumin oil. Seems beneficial to me, but I don’t believe in submitting detailed one-patient anecdotal testimonies to forums like this one. Though this and similar mixtures have not yet been officially blessed by the Mayo Clinic or similar authorities, it’s surely the case that non have shown any averse drug-like side effects in doses like those above. 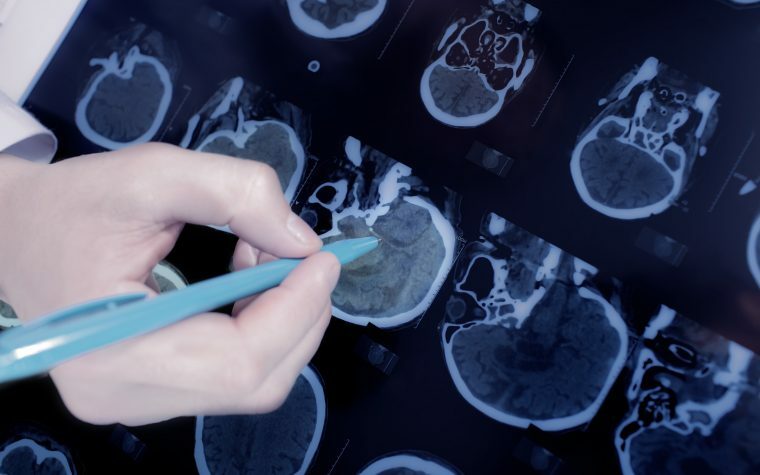 Most of us PD patients can’t afford to wait for official approvals of ever leading edge idea.